Bullet Journaling is one of my absolute favorite things to do. I love making lists and filling things out, hence why I have so many trackers in my monthly, you can see a monthly set-up here. Over my year of bullet journaling, I have accumulated a few items that I use every day or even if they aren’t used daily, they're something that’s important to my journaling. 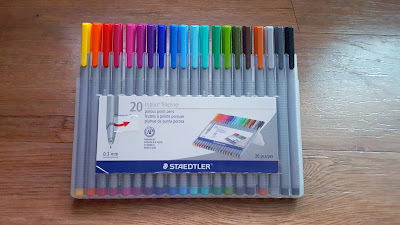 My absolute favorite colorful pens are the Staedtlertri-plus fine liners. 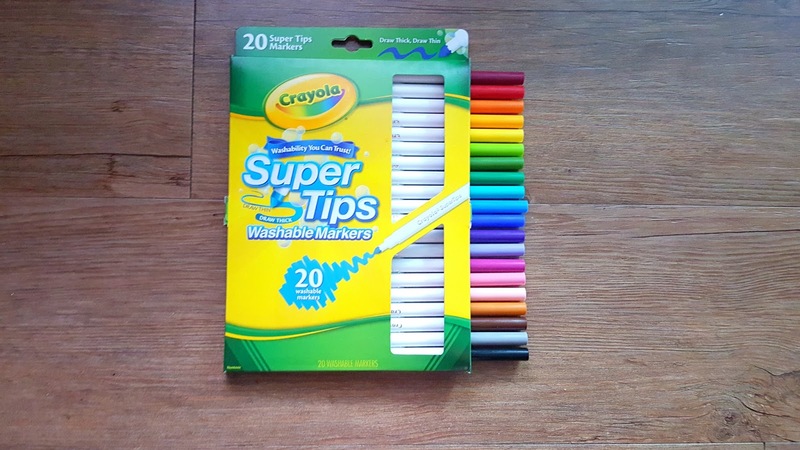 They write wonderfully, come in a vast array of colors – especially if you spring for the 42 pack – and they last for forever. I love how thin they write and how vibrant the colors are. 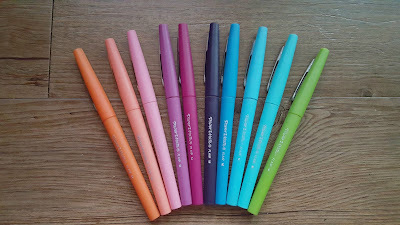 I also use Papermate Flairs and Le Pen, I don’t like these quite as much but I love pens so I buy them every now and again. 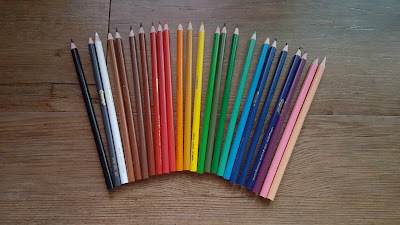 The Flairs are a bit of a thicker point than the Le Pen and the Staedtler so I mainly use them for outlining. Crayola Colored Pencils are a classic pencil, while they may not do as well as high end colored pencils they serve the purpose that I use them for and they’re great. Plus, they're cheap. 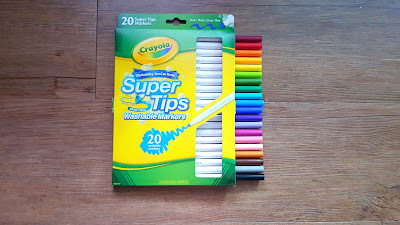 Crayola SuperTips are a wonderful, cheap way to add a little color or use for highlighting and underlining. I’ve heard you can learn to hand letter with them, but I haven’t had the patience to try. 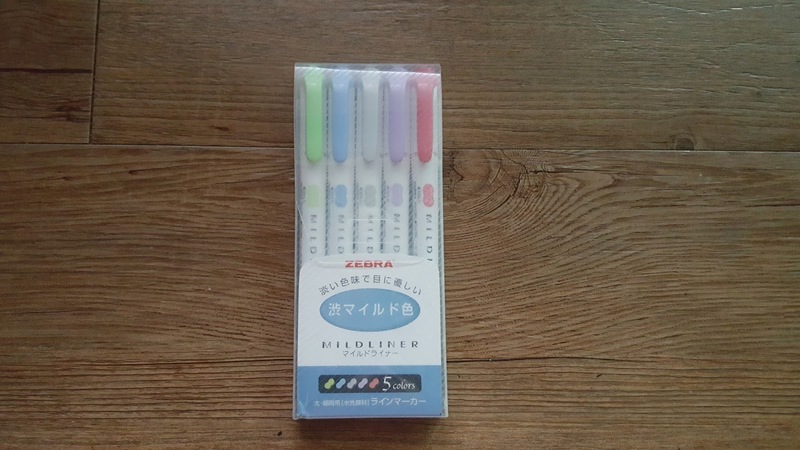 Zebra Mildliners: A cult classic for bullet journalists. I love that they are double sided and I love the muted but still vibrant colors. 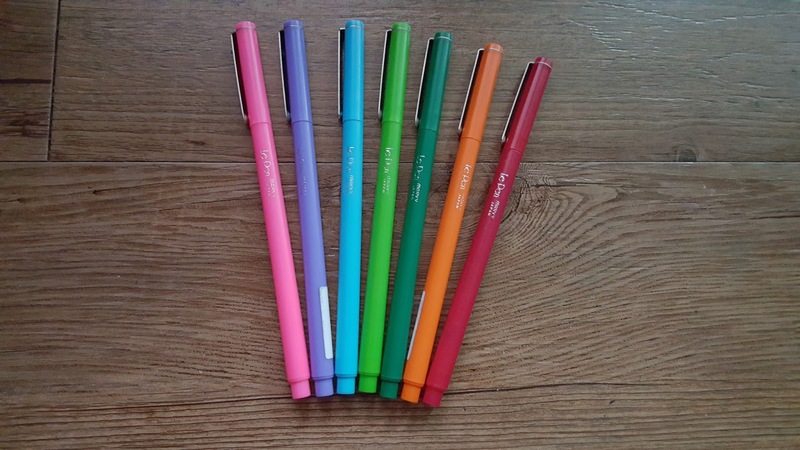 They were great for college and they’re still great for just journaling. My only qualm is that they're expensive and hard to find if you’re not in Asia. 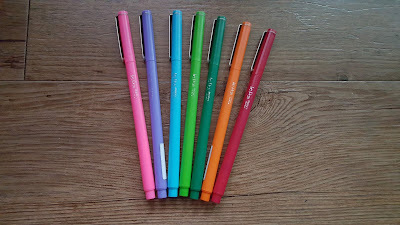 My regular writing pens are just Sharpie Pens. I was using a Pilot G-2 but they smeared horribly in my book, even after I waited a few minutes. Sharpie pens also don’t bleed or ghost as bad and they dry instantly. I use a Pilot G-2 pencil for my outlining and a Pentel Clic-Erase eraser, both are long time favorites of mine. 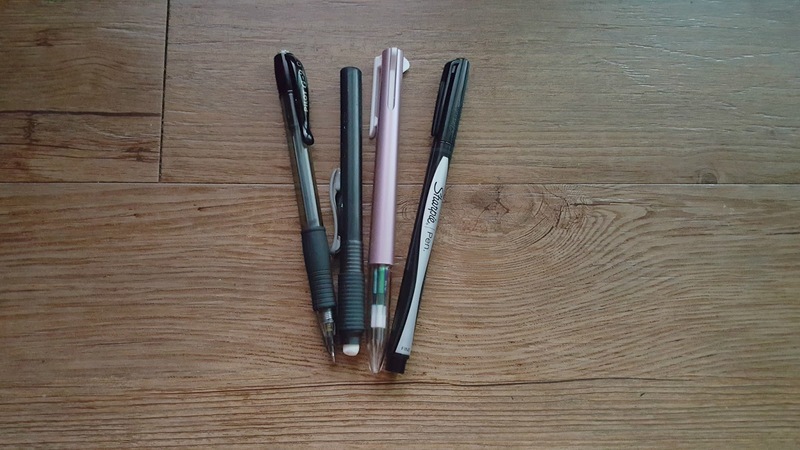 I also have a uni-ball style-fit multi-pen with a .32 tip on all 3 pens. It’s super fine and wonderful when you want to write neatly, but super tiny. I sometimes use washi tape to add little pops of cuteness to my book and to sometimes cover up mistakes. It’s super versatile and comes in hundreds of patterns. I pick up a roll every now and again when I’m at Daiso or ArtBox, they’re kind of expensive (to me) so it’s not something I get often. 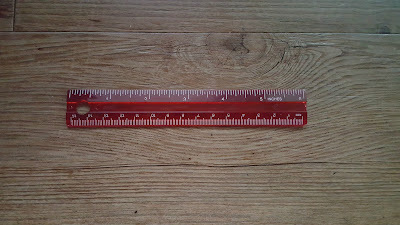 I was using a regular 12-inch ruler and decided to spend the dollar and get a 6-inch ruler and I’m so glad I did. The 6in is so much more portable and it fits the notebook better because it is an A5 size and isn’t even 6in across. Such a simple, but a nice item to have. 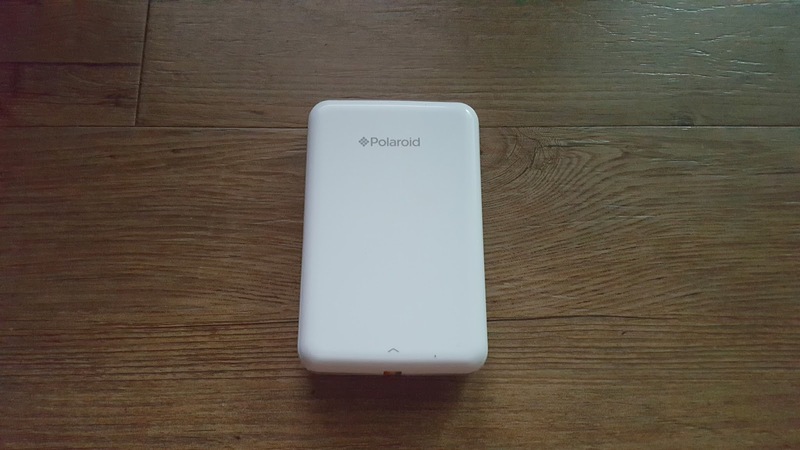 My husband bought me a Polaroid Zip printer for my birthday and I absolutely love it! I love being able to print pictures of fun things Mark and I do and stick them in my bullet journal as a memory. It makes it so fun to look back. 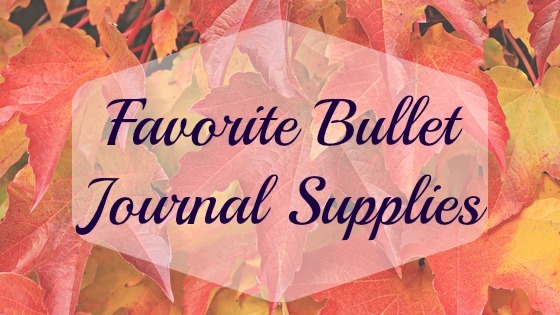 What are some of your favorite journaling supplies? Great post! Staedtler pens are my favorite too. You are really making me want to try bullet journaling. Wow, didn't know you could use so many things for journaling. I have been seeing videos about bullet journaling for a while now and it looks really cool as you pretty much get to decide how you want your journal to look like; also to make your life easier! Thanks for this and this inspires me to keep a journal like this one. Could also be colorful! 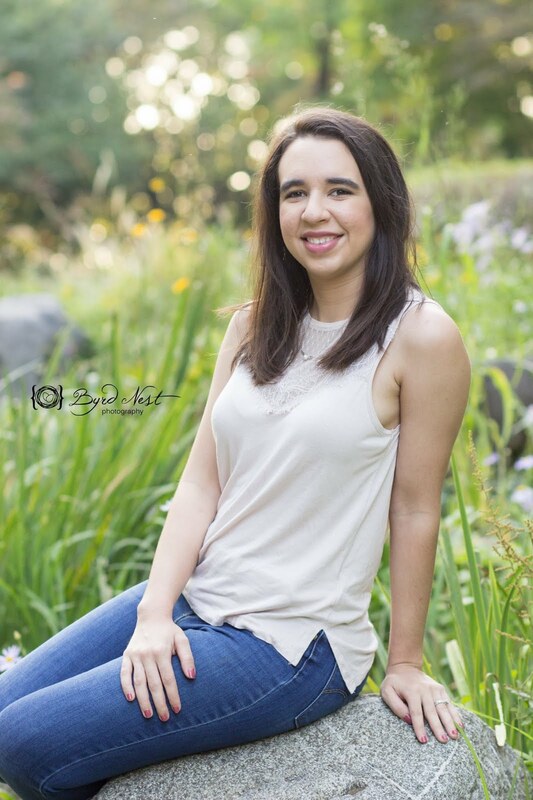 Keep up the great work, Kylie! I tried bullet journal for a while but then I got lazy and stopped!! Why am I always so lazy, it was so much fun as well. 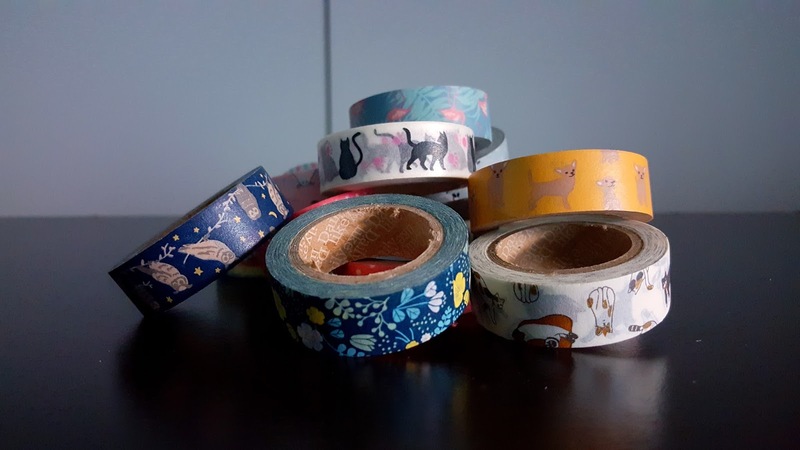 Ooo I love washi tapes! I've been thinking about starting a bullet journal but I decided that I'll start it from the beginning of the year :-) I'm going to have to do some more research for it! I don't do bullet journaling but I do love stationery. Love decorating things with washi tape. Washi tapes are a great idea, never thought of this before. 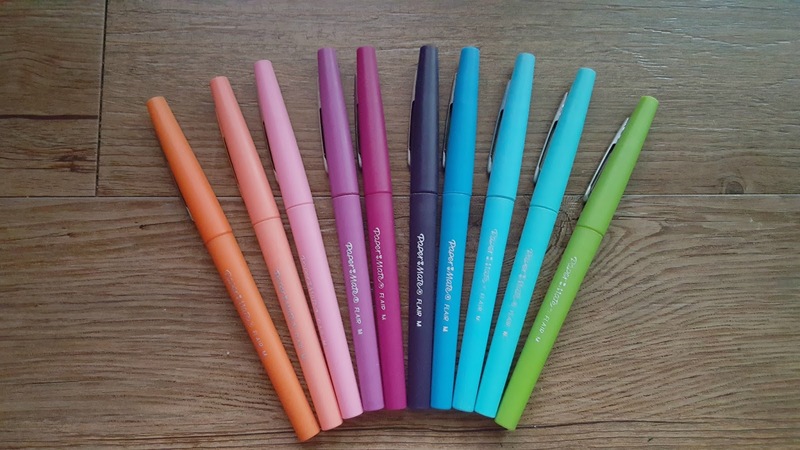 Love your colorful pen and pencils collection! I really wish I were good at bullet journals, or journals altogether. I really need to think about doing one though. I know it would help keep my thoughts organized for my blog. Maybe I should invest in one soon.